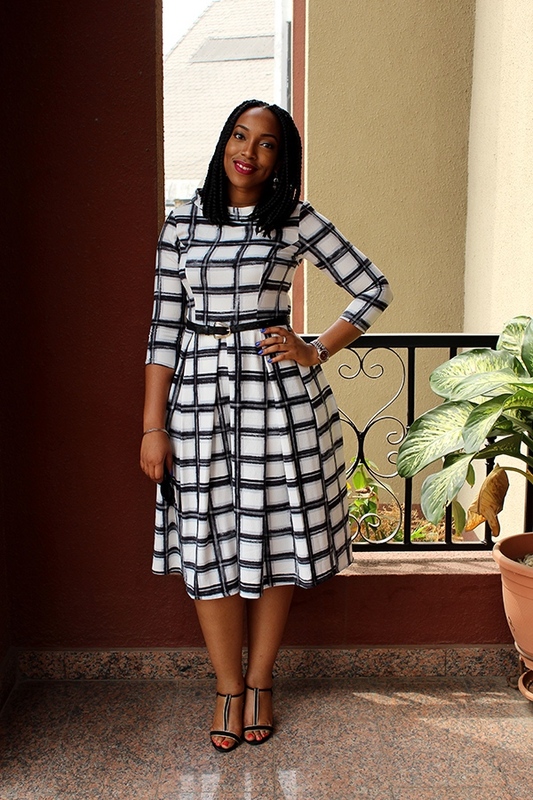 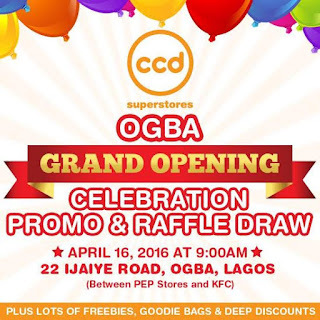 Opening of CCD Superstores in Ogba, Ikeja, Lagos!!! 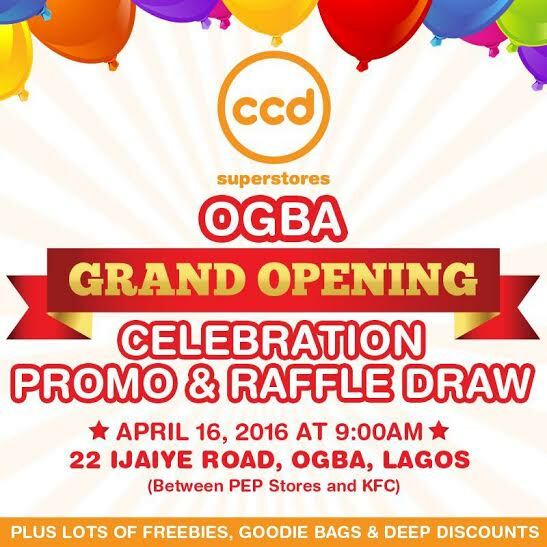 CCD Superstores, your one stop neighbourhood store, is opening its second branch inOgba, Lagos on Saturday, 16th of April 2016 at 9am. Shopping at CCD Superstores is easy,fast & convenient. We provide all your needs under one roof and aim to make your shopping experience delightful, convenient, fast and easy.